The natural colour of teeth varies from person to person and is modified by factors such as smoking, diet, medications, tooth trauma and age. Whitening your teeth can lighten them by a few shades and is a safe and efficient way to enhance your smile immediately. Tooth whitening is performed by applying specially formulated gels against your teeth. This is often done on the dental chair to provide an almost instant result: gels formulated for use in the dental office are stronger than those formulated for at home use. 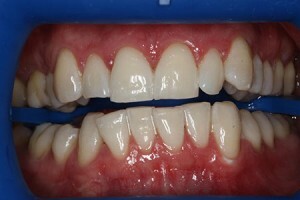 However, using a correctly selected gel for home use in a custom-made whitening tray also provides excellent results: and is favoured by patients seeking a more independent approach. Some people have a single discoloured tooth or fillings and crowns on their front teeth. 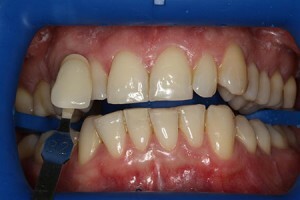 In such cases Dr Rickman may need to use a more specialised approach to achieve an optimal whitening outcome.